The Board – Who Are We? It was with great honour that I was elected as Chair of the Board in May of this year. To follow in the shoes of a dear friend James Dods, who did such a tremendous job serving the school over many years to create such a solid foundation from which to build has made the transition easy. At the same time we have been fortunate to gain the services of a number of fantastic new board members who have provided great enthusiasm and energy to review the strategy and direction of the school as we move into this next phase. As a school we are already blessed to have such dedicated committed teachers and support staff that truly see their roles as guardians and guides of our youth. Few of you will know me as I am not one of the many parents who congregate to pick up our children at the end of the day. Whilst I live in Ewingsdale, my 2 kids attend Shearwater Steiner having started there whilst being on the ‘wait list for Cape Byron’. As some background, I grew up in Sydney and worked as a Corporate lawyer and in the area of Leadership Development for many years, until I met my beautiful artist/author wife Jennifer Black, a long term Byron Bay resident, some 14 years ago. I soon moved to Byron with the birth of our 1st child. After some 5 years of being here we had the incredible opportunity to live and work in Mongolia for a few years, and returned back to Byron after a stint in California some 3 years ago. 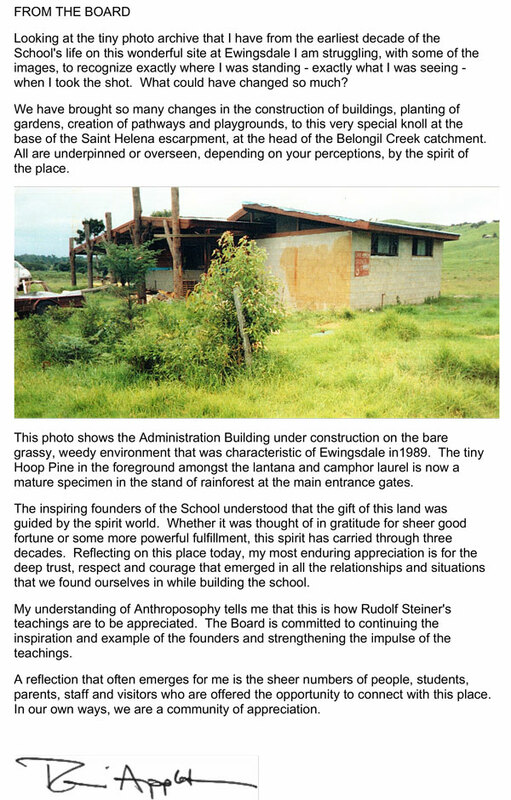 To be part of such a wonderful community and to really appreciate the gifts a Steiner based education can provide our youth by instilling a sense of self belief, connection, community and curiosity, is such a relief and joy to me as they set forth on their own journey into a world which at times seems to have lost its heart and soul. I hope to have the opportunity to meet many of you over the coming years. 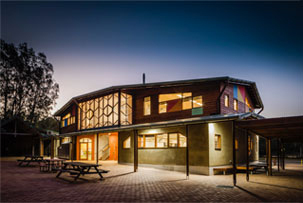 http://capebyronsteiner.nsw.edu.au/wp-content/uploads/2015/12/CBRSSwebheaderlogo.png 0 0 Yvette http://capebyronsteiner.nsw.edu.au/wp-content/uploads/2015/12/CBRSSwebheaderlogo.png Yvette2018-10-26 09:03:312018-10-26 15:59:25The Board – Who Are We? I was the precocious child relentlessly asking deep questions about reality. Questions like who am I? Why are we here? What is the meaning of life…to name a few. Today, as a school board member, I continue to ask deep questions. How can we further empower the mission of the school? How can we cultivate dynamic working relationships with all stakeholders? How do we envision the school of the future? How do we pro-actively prepare the school to meet challenges? How do we create the most loving conscious school for everyone involved? Ursula LeGuin once wrote, “There are no right answers to wrong questions.”, implying that there are such things as right answers if your questions are the right ones to ask. Hence, the task appears to be finding the right questions to ask and then unearthing the right answers. Thus, a journey begins. Namely, to ascertain if the board’s questions are the right questions and then to seek the right answers. The journey has much support along the way such as listening to others you meet along the same path. Finding inspirational publications from pioneers within the contemporary Waldorf movement who are asking similar questions and are possibly exploring if their questions are the right ones to be asking. And, of course, sitting alone with the questions in contemplative silence; remaining present for the inevitable spark of intuition to manifest. I agree with the playwright Eugene Ionesco who once said, “It is not the answer that enlightens, but the question…”. The journey to find answers to enlightening questions is further enriched by the opportunity to work with a school board comprised of parents and professionals dedicated to the school and its children. Men and women who carry the passion to ensure we are asking the right questions and to discover, through enlightening questions, the associative right answers collaboratively. One thing is for certain, hindsight will reveal whether we did ask the right questions and if we found the right answers or if the questions we carried forth were not the right ones to ask. Maybe we might never find the “right” answers to the “right” questions. But I do believe, through our passion as a community, we will find the “best” answers for the “most important” questions. Answers that will guide how best to govern the school in the tomorrows to assure that all our children can receive an education that best serves them for a tomorrow world. An education that inspires our children to think and discover the right questions for their lives and through courage, creativity and resilience find the right answers. I am excited about our school and its potentials. I am enthusiastic about the opportunities to fortify the school’s noble qualities and to strengthen other potential contributors of excellence within the school not yet fully realized. I am honoured to be on this journey with you, the reader, and everyone else who is part of our community. We, as a board, are dedicated to creating merit through governance for the highest good of all. We are committed to the implementation of answers we feel best address the deep questions we ask of ourselves. We invite everyone to join us in carrying a positive intention for our school and school family. 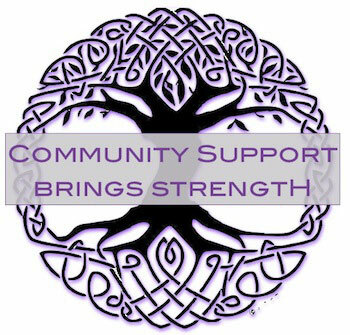 Collectively, as a community, we can emanate a quality of togetherness, cooperation and unity. This, I believe, is the right answer.